This region of Croatia is the largest peninsula in the Adriatic Sea and boasts endless days of sunshine and stunning natural beauty. Istria is becoming increasingly popular as a luxury camping destination and renting a mobile home or another type of accommodation at one of the excellent sites that can be found here is ideal for those who like to stay in style. Give LUX-camp a call to find out more. Why Should Visitors Arrange a Camping Holiday in Istria? Istria was once part of Italy and has still managed to retain much of its Italian charm. 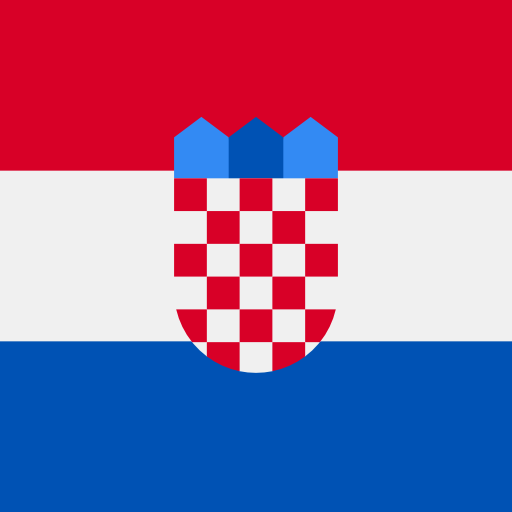 However, these days Croatia, Italy and Slovenia all have influence on this area, which gives it a unique culture. People who can bear to stray from Istria’s beautiful beaches for a while will find ancient Roman ruins and charming traditional villages to explore, while the stunning countryside can be explored by renting a bicycle from your luxury camping site. Lovers of water sports will want to secure a mobile home at this stunning luxury camping site. Park Umag is situated right on the Adriatic Coast and the site boasts a private diving station as well as the chance to hire a range of sports equipment and even a boat so that they can spend time messing about on the water. People who rent a luxury tent here will find they are set right on a gorgeous sandy beach. 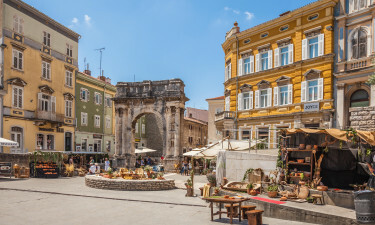 Sun worshippers will love this setting, while the site boasts a collection of three swimming pools and the charming town of Pula is just a short stroll away. Bijela Uvela is situated right on the sand and offers activities and amenities for the whole family. The children’s club here provides activities for children of all ages to enjoy, while the site also boasts three large swimming pools and an excellent range of onsite sports for guests to take part in. Spending time on the beach is one of the most popular pursuits amongst visitors to Istria and the area boasts plenty of stretches of golden sand to choose from as well as tiny islands that are situated off the west coast. A number of pretty rivers also run through Istria such as Mirna and Dragonja, while the Cicarja mountain range can be found in the north of the country. Istria also features lush valleys and forests that boast excellent hiking and walking trails. Umag occupies an enchanting position on the Adriatic Coast and is famous for its beautiful beaches as well as churches and villas that overlook the ocean. 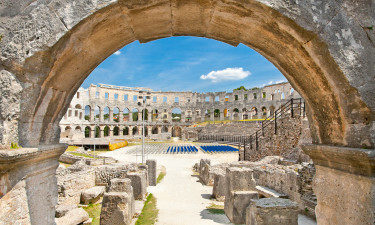 Pula can be found at the very tip of the Istrian peninsula and contains some stunning Roman ruins such as theatres and villas for visitors to explore. 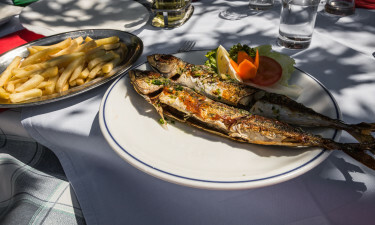 The cuisine of Istria is richly diverse and influenced by the neighbouring nations. Pasta dishes such are popular here, while lovers of risotto will find a number of unique variations to try that include large helpings of vegetables and fresh seafood. The heart of Istria is famous for its pork products, while the truffles that are found here in the autumn make the perfect addition to pasta dishes and other main meals. The climate of this region is varied and it is continental in the heart of Istria, Mediterranean in the west and south and oceanic in the east. However, overall the weather in Istria tends to be warm and sunny all year round and rainfall is light and generally restricted to showers in the autumn and winter months.